We handle surgery error lawsuits against Maryland hospitals and Maryland surgeons who have negligently caused injury to a patient during surgery. Maryland has many great surgeons, some of the best surgeons in the world perform surgery every day in Maryland hospitals. But there are exceptions that often lead to exceptional surgical errors for which Maryland law may provide compensation. Malpractice lawsuits are generally reserved for death and serious injury cases. Nearly half of these cases involve surgical malpractice. The statistics bear this out. The Agency for Healthcare Research and Quality found in a study last year that surgical errors cost our country approximately 41.5 billion every year and that 1 in 10 patients who die within 90 days of surgery did so the result of a medical error that could have been prevented. The Institute of Medicine estimate was even higher: $2 billion. More importantly, the IOM report estimated 7,000 surgical deaths annually in the United States. That's a real number: imagine 7,000 people in a stadium. How Bad Does the Mistake Have to Be for a Surgical Malpractice Claim? Surgeons, like any doctor, must exercise the degree of care and skill that a surgeon of the same medical specialty should use given the circumstances. In other words, doctors have to do what a reasonable doctor should do. It is also important that the mistake was made is related to the patient's injuries. Surgeons make many insignificant errors during an operation that cause no real harm. But if you have a mistake that should not have been made and that error causes a serious injury or death, you have a viable malpractice claim. If you or someone you love has been the victim of a surgical mistake on the operating table, you need a lawyer you can trust to fight for you. If you call us, we will investigate your case. If our lawyers find that you have a viable malpractice case, we will retain the medical experts required to testify on your behalf to put you in a position for success either by settlement or at trial. 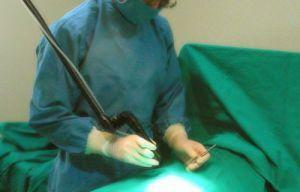 There are many different types of surgical error cases in Maryland. Some errors are painfully obvious: if the surgeon is supposed to operate on the patient's left leg and the surgeon operates on the right leg, that is pretty clear. But not every case is as facile as a wrong site surgery case. Regrettably, for surgical error lawyers representing victims, most cases are far more nuanced. Moreover, not every mistake is medical malpractice. Our job to sort through these claims to determine whether there is a possible malpractice case associated with the injury. Below are settlement and verdicts in surgical medical malpractice cases in Maryland in recent years. These verdicts can help you in your effort to compute the money damages you might receive for your case in a settlement or verdict. But they are just one weapon in your toolbox to better understand the value of you or your client's claim. You cannot use similar cases to calculate the exact settlement or trial value of your case. Jurisdictional differences, caps on non-economic damages, and a host of other factors make it impossible to compare one case to another and calculate the true settlement value of a claim. 2018: Baltimore County, Maryland $500,000 Verdict: Miller & Zois client was undergoing gallbladder surgery to have stones removed. During the procedure defendant surgeon inadvertently cut into our client’s bile duct. His perforated bile duct had to be surgically reconstructed. We argued that the surgery was not medically necessary and was performed negligently. Defense counsel insisted that the surgery was done properly and suggested that our client’s injury occurred after the operation. They also implictly argued he was not that badly hurt. How much could the case be worth if he made such a full recovery? The jury in Baltimore County awarded our client $500,000. 2018: Baltimore City, Maryland $800,000 Verdict: plaintiff had previously had lap band system surgically implanted to help with weight control. She went to defendant surgeon to have lap band surgically removed but he botched the procedure and accidentally left six inches of tubing inside of her body. As a result of the mistake, the plaintiff suffered severe abdominal pain, bowel obstruction and had to undergo further surgery. Defendant denied negligence and claimed that plaintiff suffered little or no injuries as a result. The jury returned a verdict of $800,000. 2016: Baltimore County, Maryland $1.5 Million Verdict. A doctor fails to get informed consent for an ERCP, telling her that she needs the procedure to see if she has cancer when it is unlikely she has cancer or that the test would even assist in making a diagnosis. Our 72 year-old client has the surgery and then develops pancreatitis which clearly is a known risk of the procedure. She has a pretty good recovery. She is able to go bowling and engage in other recreational activities. But she now needs to take digestive enzymes and insulin injections as a result of the surgeon's unwillingness to give the client the information to make a choice about what procedure is best for her. The doctor's insurance company refused to make any settlement offer. The jury deliberated late into a Friday evening and came back with a $1.5 million verdict. Our law firm, Miller & Zois, handled this case. 2015, Charles County, Maryland: $400,000 Verdict. An 81-year-old woman is having a basal cell carcinoma on her nose removed. The surgery is complete, and the doctor tells her that he removed the cancer and would observe her every three to six months, even though the pathology report is unclear about the margins of the carcinoma. After 18 months, the doctor starts to notice redness and a biopsy is done. This biopsy indicates that skin cancer is still there, so the woman has a six-stage Mohs micrographic surgery done to remove that cancer. This involves taking the skin off of her nose and reconstructive surgeries to rebuild her nose. She brings a claim against the doctor for medical malpractice, alleging that he should have paid closer attention to the pathology report and recommended surgery. A jury finds the doctor negligent and awards the plaintiff $400,000. 2014, Baltimore, Maryland: $958,426 Verdict. An adult female patient is having a gastrostomy tube placed due to her multiple sclerosis complications with swallowing. During the surgery, a gastroenterologist negligently attempts to re-insert a gastrostomy tube numerous times over nine hours. It is alleged that he used "moderate force" to get the tube through the fistula and into the stomach, that he should have known that the gastrostomy tube tract can narrow and close within 2-3 hours after removing the tube. As a result, she suffers a perforated viscus, peritonitis, and sepsis syndrome. She also contends that the doctor failed to secure informed consent from her husband. A jury awards her $958,426, which breaks down into $208,426 for medical expenses, $500,000 for non-economic damages, and $250,000 to her husband for loss of consortium. 2014, Anne Arundel County, Maryland:$66,583 Verdict. A 75-year-old female is having a laparoscopic sigmoid resection done. During the procedure, she sustains a severed left ureter which causes urine to leak into her abdominal cavity. She brings a suit against the doctor, alleging that he negligently failed to use appropriate treatment and surgery and failed to evaluate her condition and monitor it. She further alleges that he continued with the surgery without having adequate visualization of the organs. The doctor claims that the injury is a known risk of the procedure, but a jury finds him negligent and awards the plaintiff $35,000 in pain and suffering and $31,583 in past medical expenses. 2013, Prince George's County: $5,505,000 Verdict. A patient is having open heart surgery when she goes into cardiac arrest and dies. Her estate brings a suit, alleging that the doctors improperly placed and then removed pacing wires during the surgery which resulted in a laceration of the victim's heart graft, which led to bleeding into her chest, cardiac arrest, and death. A jury awards the estate $5,505,000. The non-economic award was reduced per state cap, with a judgment of $695,000 and $5,000 for funeral expenses. Our law firm, Miller & Zois, handled this case. 2013, Baltimore County: $1,420,000 Verdict. A 32-year old student has a confirmed cyst on her left ovary. After three years, her ob/gyn recommends that it be removed, and she agrees. During the procedure, her doctor removes her right ovary and fallopian tube, even though previous studies reveal a healthy right ovary. The doctor fraudulently alters her pre-surgical medical records, to reflect that the patient had complained of right-sided pelvic pain, in an attempt to justify removing the wrong ovary. The doctor never tells her that her right ovary was removed, or that the dermoid cyst is still in her left ovary. The plaintiff alleges that the doctor was negligent by failing to obtain consent to remove her right ovary, negligently removing a healthy ovary, and by not informing her of the error. After a four-day trial, a jury awards the plaintiff $1,420,000. 2013, Baltimore City: $841,987 Verdict. A 71-year-old woman has a history of recurrent chest pain and abnormal ECG studies. She is having a transforminal coronary angioplasty and stent procedure done, when her cardiologist pierces the left circumflex artery. Her estate brings a claim alleging the cardiologists aggressively pushed and guided the wire through the artery and caused damage such as poor blood flow, leading to her cardiac arrest and death. Her estate is awarded $841,987. If you have been injured as the result of medical or hospital malpractice, call our Maryland hospital malpractice lawyers at 800-553-8082 or get a free consultation. General information on medical malpractice cases in Maryland. How much time do I have to bring a med mal claim?